Infected is a game about an Apocalypse - one that appears to be a zombie apocalypse at first, but which develops along far stranger and more eldritch lines as time goes on. The rules, based on the Schema engine, are built for an action game, which includes fighting, but also includes running, dodging, holding shut doors against the dead, and so on. There are zombies. There's eldritch things. There's sorcery. And there's some moderately mad science. 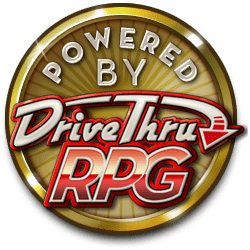 In addition to the rules, character sheets, and so on, some of the fiction of the setting is given here as three seperate short books, each of which is a codified section of an RPGnet "riff" thread from which the game was born. This project was previously under development as the Infected Living Archive; now that it's reached a release-worthy state, it's been re-listed. Updates for errata and general improvements may be possible in future as needed, but the base game here is complete. Considering printing this, and I noticed the pages have no page numbers, but the table of contents references them. Not bad if read electronically but difficult on paper. Any chance for a quick update? Oooh, declaring this finished-ish huh? Rock on, been a fan of your stuff since way back when I found the 1st edition of Hoard. It's had plenty of playtest and heaps of editing attempts, so... Yup, done-ish. Certainly enough that I can start actually putting the *supplement* stuff I have for it out there. Nice to hear, I look forward to it!